Billy Ray Shelton was called by God to his Heavenly home on Thursday, March 7, 2019. He fulfilled his assignments appointed to him by God. He was a faithful and loving husband to Linda his wife for 50 years. Also he was a loving father to Billy II, David and Brian. God blessed him with 5 grandchildren; Roy Finchum, Victoria Rose Shelton, Bolar, Guree, and Michael Tagge. Kate, wife of David, and Toogie wife of Billy II were like daughters to his life. Also Dee Tagge was like a daughter. All were gifts to his life. Billy was a nuclear pipefitter with the Newport News Shipyard for about 36 to 37 years. He was a very faithful and hard worker. 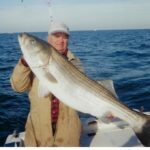 Bill loved to fish, hunt, raise large vegetable gardens and play bluegrass music. He also played other styles beautifully like Praise and Worship. He played the mandolin in a bluegrass band called “Hard Travelin Bluegrass Band”. He loved to play his mandolin in churches and nursing homes. He played on the worship team at his church, Gospel Lighthouse Worship Center in King and Queen Co., God also blessed him to play guitar and banjo. He played in many churches and weddings. He loved to serve others. As his wife, Rev Linda Shelton received assignments to go to different churches, God used him to bless people by playing his mandolin on the worship teams. He was a special angel sent by God to help his wife Linda on her journey. He is survived by his wife, Rev. Linda Shelton; sons: Billy Shelton II and his wife Toogie, David Shelton and his wife Kate, Brian Shelton and special daughter Dee Tagge. He is also survived by his brother Jerry and sisters; Patsy, Carolyn, and Rita, 5 grandchildren Roy, Victoria Rose, Bolor, Guree and Michael. His homegoing celebration will be held on Monday, March 11, 2019 at 1:00 PM in Grace Fellowship Church, 609 Aberdeen Rd, Hampton, Va. 23661. The family will receive friends 1 hour prior to the service. Interment will be in Parklawn Memorial Park, Arrangements are being handled by Amory Funeral Home, Grafton.